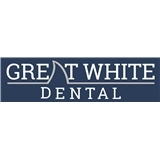 Great White Dental (San Antonio) - Book Appointment Online! Doctor Alejandro Martinez welcomes you to a fantastic dental experience! By combining advanced dental technology with a gentle, friendly style, Dr. Martinez and his team will make you and your family more comfortable than you thought possible. Dr. Alejandro Martinez earned his degree from the UT Health Science Center at San Antonio. Each year he continues to study advanced dental techniques with some of the nations foremost clinicians with a special focus on cosmetic and restorative dentistry. Through caring and considerate communication, Dr. Martinez and his staff offer you the best of both worlds: today's clinical dentistry blended with old-fashioned relationships. It's the dentistry you've been waiting for, and it really is something to smile about!